Both before and after Rittman’s resignation, there have been allegations on social media of wrongdoing on the coach’s part. Associate Vice President for University Communications Lisa Lapin said Monday that the University was unable to comment on personnel matters. Rittman became the second head coach in program history in 1997. Tasked with establishing the Card’s position among the elite in the nation’s premier softball conference, Rittman helped the Cardinal to its first 30-win season in his first year. From there, the Stanford softball program rose to the top of the college softball landscape, with the Card making 16 consecutive appearances in the NCAA tournament from 1998 through 2013. Stanford reached the Women’s College World Series, the pinnacle of collegiate softball, twice under Rittman’s leadership in 2001 and 2004; the Cardinal made it to the semifinals of the World Series in both trips to Oklahoma City, falling to powerhouses Arizona and UCLA, respectively. After the introduction of a three-round NCAA tournament in 2005, the Card also qualified for five Super Regionals in a seven-year stretch from 2005 through 2011. However, since a loss in the 2011 Super Regional to Alabama, Stanford has not been able to advance past the regional round of the NCAA tournament. At least a half-dozen players have left the team since 2011, hurting the Card’s depth. 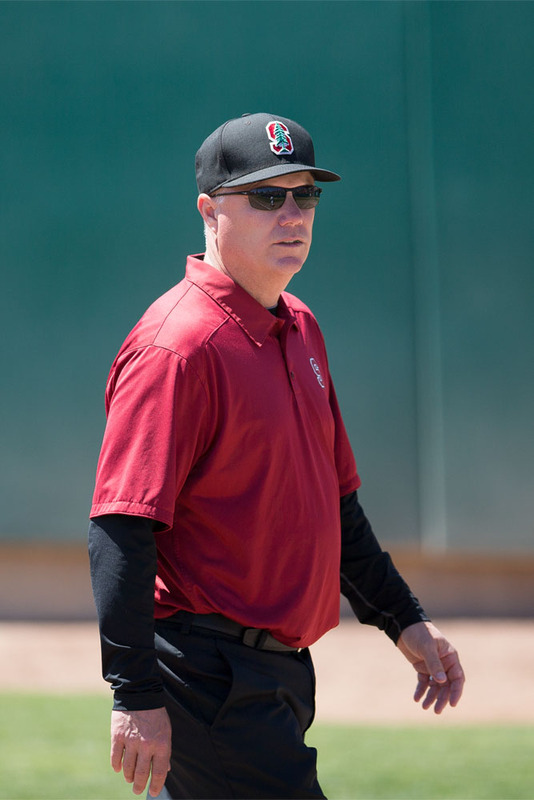 The 2014 softball season was a particularly trying campaign for the Cardinal players, as a transfer, an injury and a medical leave decimated the pitching rotation. In the summer before the start of the 2014 season, then-rising sophomore Kelsey Stevens transferred to Oklahoma. Stanford’s staff was further depleted by a season-ending injury to freshman Carley Hoover, which cut short her season after only eight games. Finally, junior Nyree White left the squad to take a medical leave of absence in early February. In the end, the Cardinal could not overcome these roster losses, stumbling to their worst season in nearly two decades. In the process, Stanford missed the postseason for the first time since 1997. The Card also finished without a conference series win for the first time since 1995. For a program accustomed to success, the recent downturn has left supporters of the team searching for answers. The softball program will conduct a national search to find a new head coach for the 2015 season.